Songs - FROM THE INSIDE OUT revue - Part I: FROM THE INSIDE OUT, I PROMISE; WARM-UP IN GEE (AND GOSH GOLLY); AUTUMN LEAF; LET'S SHAKE HANDS; CURRENCY; I'M NOT SCARED; OLD MACDONALD HAD A FARM; WHACKY DO RE MI; SCARIN' ALIVE; VOTE! ; A BAG O' TIGERS (G, A, B). 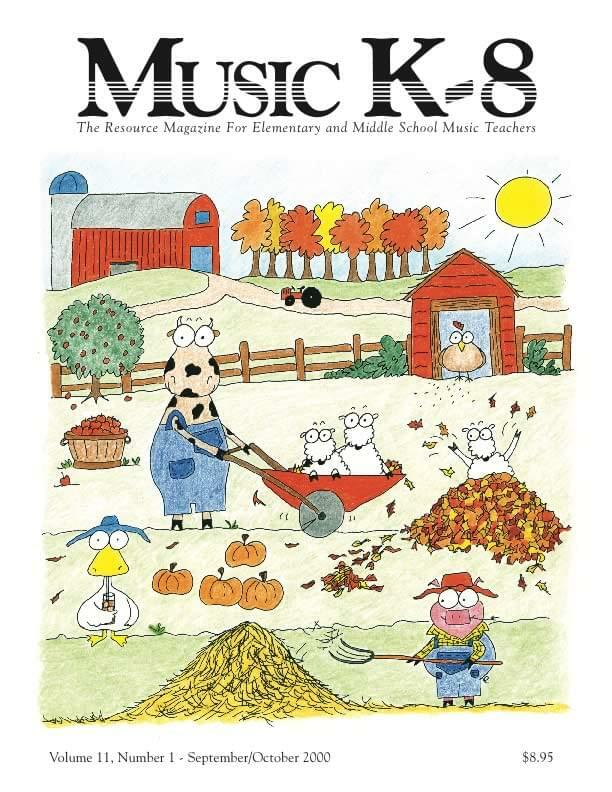 Articles - Suggestions for using the music in this issue; Frequently Asked Questions; Network; Quodlibet; Photo Journal... and more!